We as pioneers in providing end to end flexible packaging solutions engineer best in class machines, designed for efficient operations to meet the varying requirements across industries. 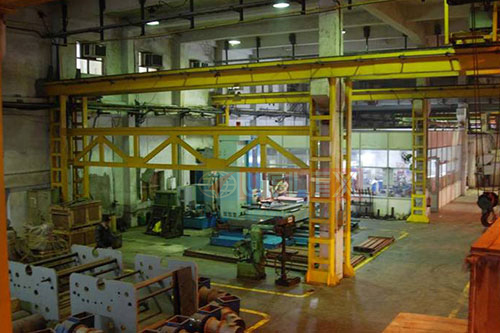 We provide our customers with the widest range of machines, from simple and basic specifications to highly sophisticated ones involving seamless integration of advanced engineering, enhancing their production efficiency and thereby increasing our reputation. Our machines, running successfully in many countries, are customised to respond efficiently to customers’ requirements. 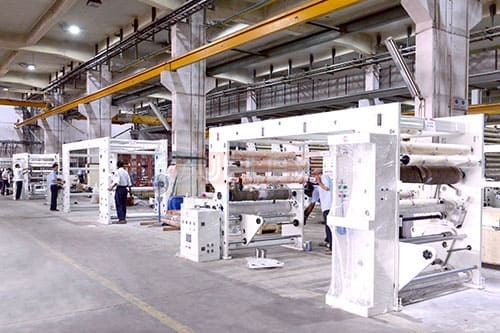 Incorporating frontline technology with unique features and prompt after sales services make these machines the most dependable solution on the packaging horizon. By maintaining highest quality standards in our production process to deliver a flawless range for cent percent client satisfaction, we are recognized as one of the leading Manufacturers, Exporters & Suppliers in the market. Our transformation into an international enterprise is based on the standardization, productivity and internationalization of our production and sales systems. In line with its expanding and diversifying ideology, the Company has ventured into infrastructure. Installing 9 stage dip pre-treatment line is a step in this direction. 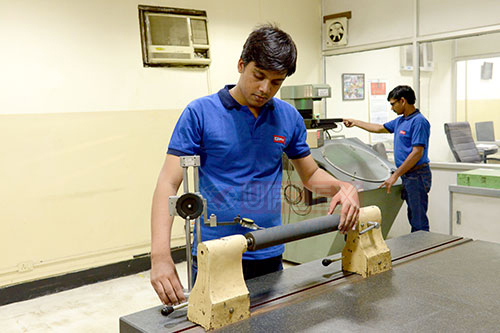 Today, the Engineering Business has five well equipped assembly lines with a variety of State-of-the-art machining & fabricating technologies coupled up with latest CNC machines. 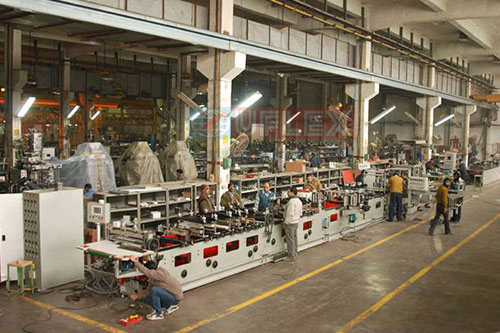 Factory Area	: About 54150 sq. mt. Factory Shed	:	About 12000 sq. mt. 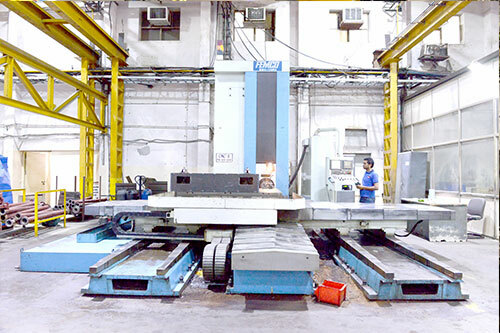 We are equipped with a world class machine shop, CNC based sheet metal fabrication & machining centres, tool room, sophisticated galvanizing, paint shop with advanced technology, buffing plant and MIP line for moveable parts. 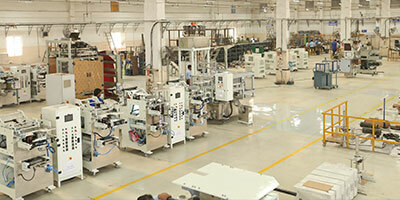 Machines are assembled and meticulously tested in the assembly workshop. We have incorporated modern production techniques to improve the performance of our machines. 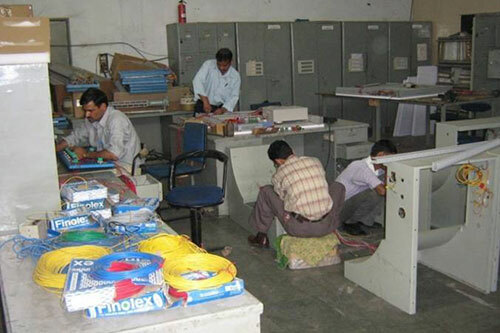 Utilizing new techniques, streamlining our production processes and with our cutting edge research and development facilities, we have been able to expand our product range to keep pace with the dynamic international trends. 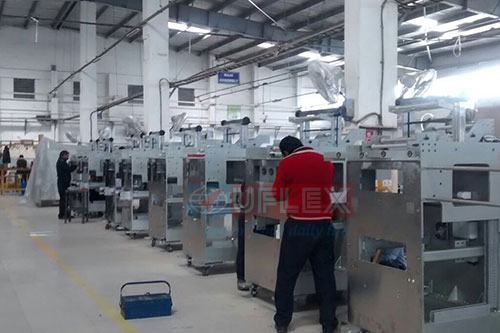 State-of-the-art machines under State-of-the-art technology achieved with the support of R&D and in house manufacturing facilities put us in an altogether different league as manufacturers with the sharp edged technology by our side. 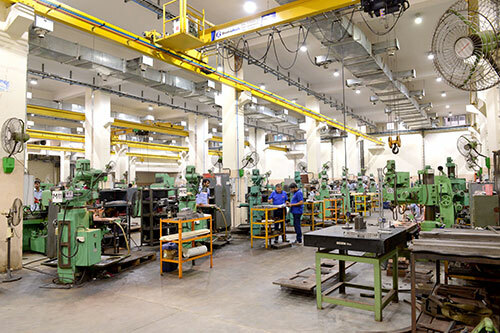 Our production facilities are centres of excellence where passion and innovative interest combine into creating a technologically superior machine. 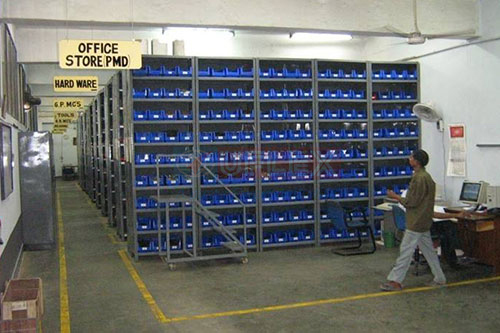 Owing to the advanced manufacturing technology integrated with our fully developed infrastructure, we are capable of offering our clients extensive wide range of machines.We stock components with rationalisation based on life cycle study and failure mode analysis ensuring availability in time. Our operational excellence stems from our shared value of responding to customers’ specific requirements in the shortest lead time and at the most competitive price coordinates. The path to being world-class player is paved by our State-of-the-art facilities blended with best people, processes and practices. It is our constant endeavour to be the preferred name as suppliers of technologically superior Packaging and Converting Machines. 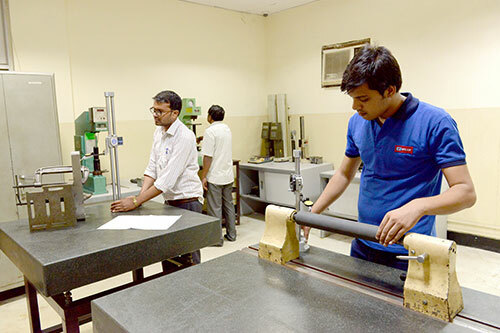 Our team of experts maintains a strict vigil on the manufacturing process to ensure excellence at all levels. In addition to this, continual Quality enhancement is a culture at Uflex. Engineering Business’ proven systems & procedures coupled up with highly qualified technically trained professionals offer excellence in business management and best in class services through innovation and integrity. Being a part of the Group that is fully integrated end-to-end flexible packaging solutions provider, we lay a strong emphasis on Quality and Customer Service. Our consistent performance and commitment for timely deliveries combined with an unrelenting quest for offering ‘Innovation with Differentiation’ puts us much ahead of the competition. All our machines are CE certified. With about three decades of eventfully valuable existence and experience we have successfully earned an irreproachable reputation.World over, we have blossomed into being one of the only integrated organizations of our kind mastering in all packaging related competencies. Our innovative ideas, experience and knowledge of technology have helped us to reach the zenith of success. 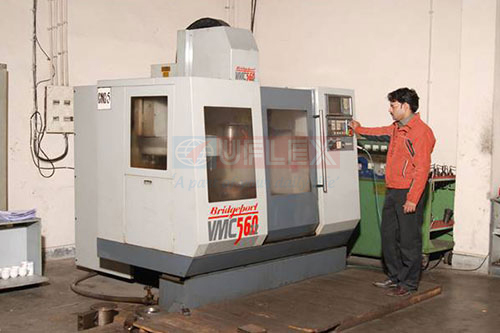 The speciality of our machines lies in their unique design and superior performance that adds value to your business. 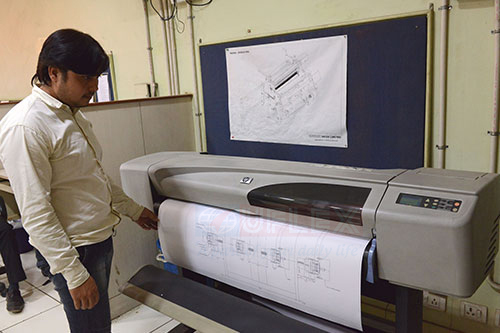 Engineering Business at Uflex has a well established R&D unit offering unmatched capabilities towards complete printing and packaging solutions to a wide range of products. 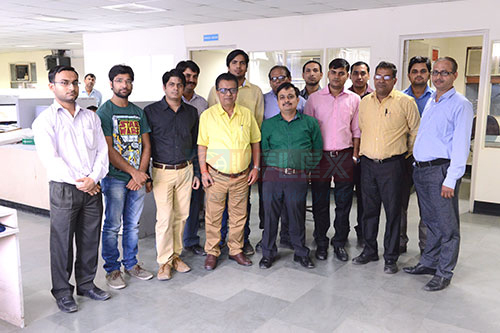 The team consists of mechanical & electrical engineers, seasoned designers and data analysts. With these strengths, highly focused R& D team work in perfect synergy with production & quality team, sales & marketing and service team besides regular consulting professionals & experts from the fields. 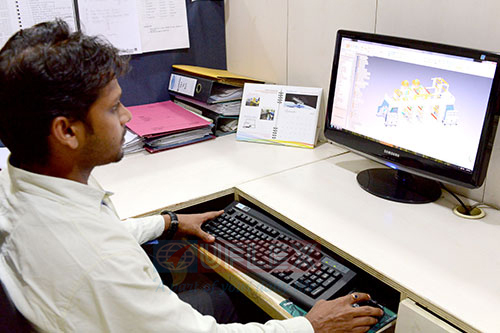 Our Design department is equipped with 30 work stations where high end 3D CAD software by Siemens and Dassault Systems are used. 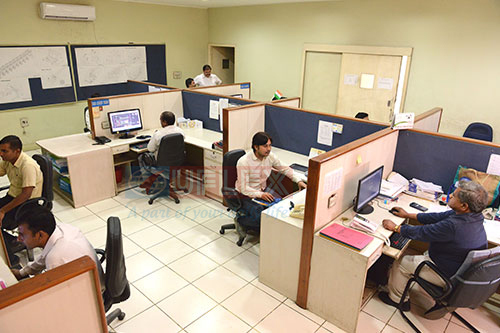 Our strong team is backed by modern infrastructure with all the facilities that have made us capable enough to cater to our clients’ specific needs. Uflex machines offer enhanced design options for specific printing and product packaging lines of virtually any production capacity. 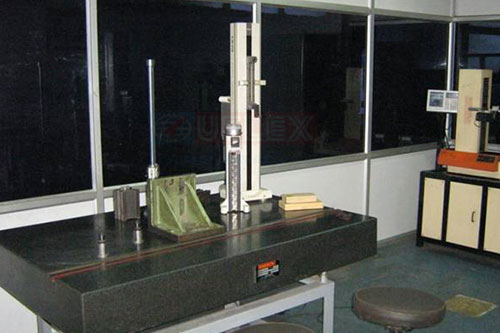 Besides, Uflex can offer complete turnkey solution of any magnitude anywhere across the globe and even consider joint-participation. 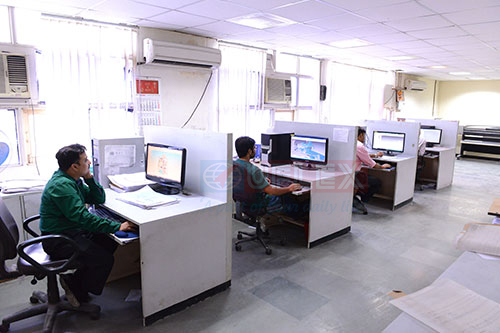 Our R&D department works in close co-ordination with the customers to design and deliver machines customizing the requirements at most efficient price coordinates. The department has been continually evolving in terms of technology to provide customers with nothing short of the latest and the best. Our ability to exactly map and meet clients’ needs results in fewer iterations during product designing. A core strength that not only enables us in tweaking existing product to make it suitable to meet clients’ needs but also aids us to come up with new solutions as promptly as our clients demand. 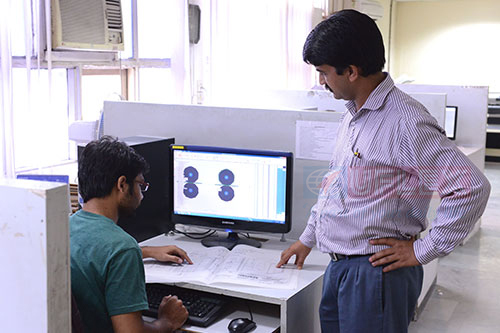 Our R&D team is continually works towards developing new products as per the changing needs & demands of customers. Quite regularly it undertakes initiatives to improve the quality of existing products in terms of aesthetics, performance, ease of use and enhanced life cycle. Acknowledging that technology changes rather rapidly, each member is committed to continuous learning, unlearning and skills enhancement that leads to product development.Immediate Corrective and Preventive Actions (CAPA) are taken as required and their effectiveness is regularly monitored. Not only does our R&D team develops and tests new products but it also conducts in-depth analysis of product/ parts for various simulations and failure modes during testing & trials.